If you are looking to unleash the full potential of the Windows Phone Lockscreen, look no further than Tetra Lockscreen. This Microsoft Garage app allows you to view your full agenda, weather and even tracks your activities right on your Lockscreen without ever having to unlock your device. It’s a powerful user experience and shows the potential of the Windows Phone platform. 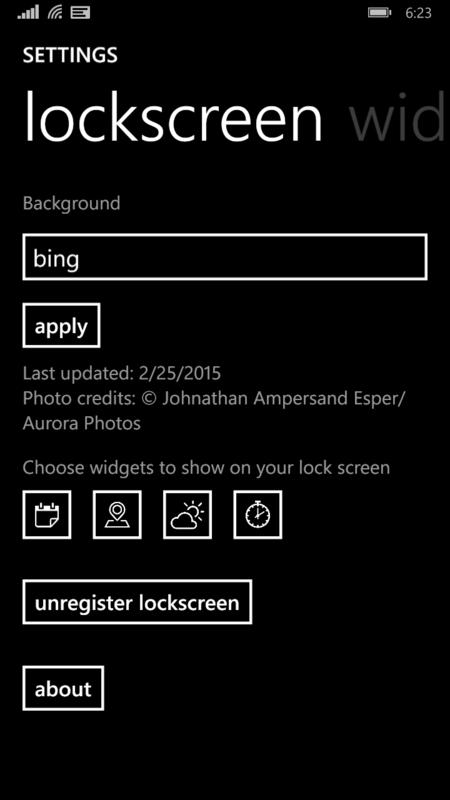 Like many elements of Windows Phone, the Lockscreen is one of the areas of personal expression on the platform. Whether you decide to display your favorite photo, Facebook or Twitter photos or the Bing wallpaper of the day, it gives you this individual touch along with updates and information on your email, Facebook and other apps that you can choose. Tetra Lockscreen takes those and pushes the Lockscreen up a level in functionality. This app allows you to have that photo background of your choice or Bing but also brings a whole new level of content beyond just your messages, email and Facebook updates. It makes the Lockscreen interactive and allows you to see details of your calendar for the day, your location, local weather and even can provide you a stopwatch. It is a great example of the flexibility and power of Windows Phone. The app comes from the Microsoft Garage (which was literally a garage on the Microsoft campus at one point) and is one of several apps that developers have released for Windows Phone and Android. While the app isn’t officially supported by Microsoft, the Garage apps have all performed well and Tetra Lockscreen is no exception. If you are looking to spruce up your Lockscreen with a bit more content, look no further than Tetra Lockscreen. select the daily Bing wallpaper as your background. There is also a default background if you want to make the setup process even easier. The widgets that you can configure here – Calendar, Location, Weather, Stopwatch or Activity Tracker – are different than those of the Lockscreen widgets you set up in Lockscreen in Settings. The widgets in Tetra Lockscreen are those which you will interact with within the app while those set up in Settings will also appear at the bottom of the Lockscreen as normal. Within the Tetra Lockscreen widgets you can do some customization to meet your needs. For example, the Calendar widget you can chose which calendars show up in the app on your Lockscreen while the Weather widget lets you chose the temperature scale of your choice, the location and refresh rate. 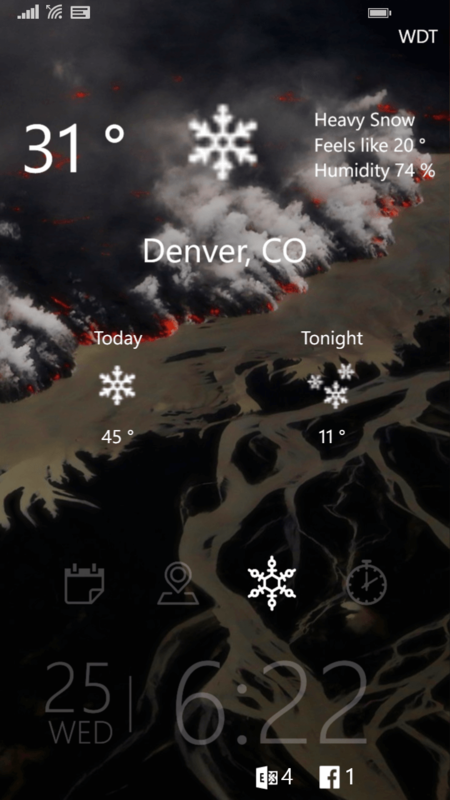 If there is one thing that I would like to see improved in a future version of Tetra Lockscreen it is the weather widget refresh rate. The minimum you can set it to currently is 6 hours but it would be good to see this down to every hour, the general refresh rate of weather data from most weather services. Once you have the widgets configured and your picture decided, tap the Register Lockscreen button and Tetra Lockscreen will now be your Lockscreen on your Windows Phone. without having to ever open up the Calendar app. It is a huge time saver, especially if you are on-the-go and need to know what you have scheduled for the day. The Location view in Tetra Lockscreen may seem like a “throw away” feature but it actually has some huge benefits for those who travel. 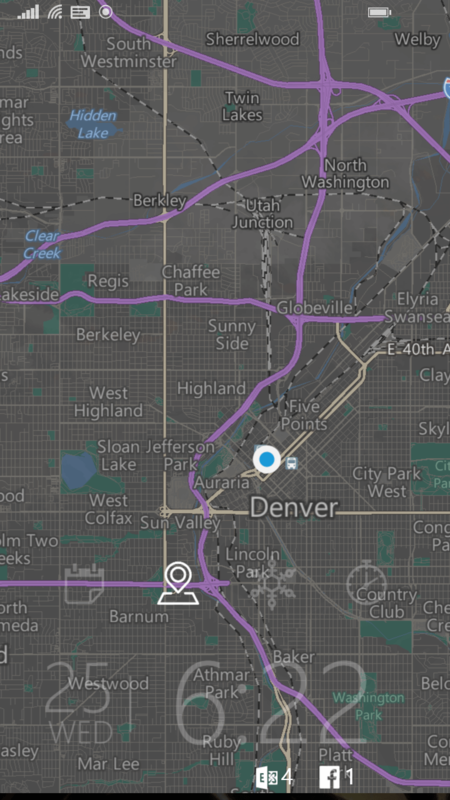 What this widget does is pinpoint your location based on your Windows Phone’s location services. It will get you down right to street level. While you are at home or work, that’s no big deal. You know where you are and what is around you more than likely. But if you are visiting a new city or not quite sure where you need to turn as you walk through the city, this is where this widget shines. 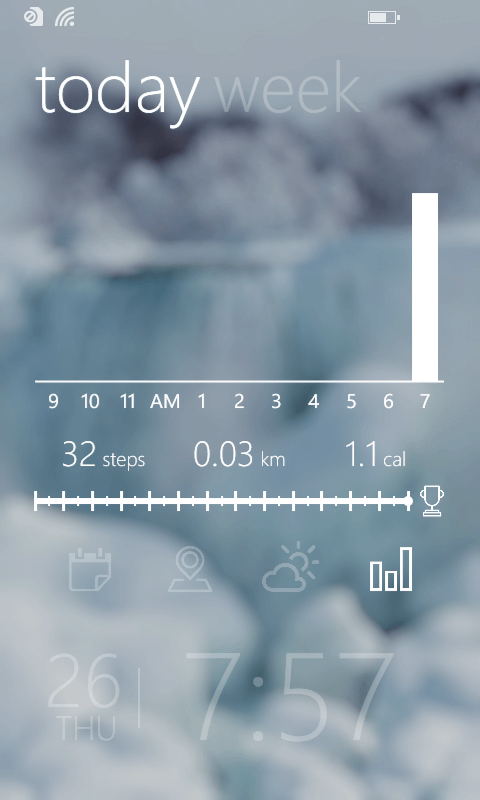 Tapping the Location widget will bring up a Bing map and will show you your current location. You can then pinch and pull to zoom in or out on the map and you can use your finger to drag the map to see the area around you. Again, this is all done from the Tetra Lockscreen and doesn’t require that you unlock your phone, open up Maps and figure out the same information. One thing to keep in mind as you drag your finger around to view the map: You need to make sure that you do this on the upper half of the display, above the row of widgets. If you do it below that, Tetra Lockscreen assumes you are trying to unlock your phone. It may take a little getting use to but it isn’t a big deal once you get the hang of it. configuration. It will give you the current temperature, feel like temperature, humidity and the forecast for the day and the evening. As I mentioned in my earlier comments, my only complaint is the refresh rate. It needs to be a bit sooner than every 6 hours to be more relevant. Here on the Front Range in Denver, Colorado, a six hour update window is just too long. Within 6 hours we can go from sunny to 4″ of snow. included but the popular Lumia 635 has it as does the Lumia 830 and Lumia 1520. Overall Tetra Locksreen is one of those apps that you quickly grow dependent upon after you have installed it. In fact many of the features and functions of this app would be great to see baked into Windows 10 for Phone outright as they provide you a wealth of information about your day and surroundings without ever having to unlock your phone. The app is also a great example of how powerful the Windows Phone platform can be for developers. If you are looking to get more out of your Lockscreen, take a look at this app. I highly recommend it. For some reason, it’s marked as not available for my Lumia 1520, though it shows in the “my apps” portion of the store since I had it on my HTC 8X. Oh, well. Larry, that’s strange! Are you US based? I’m curious if this is an international issue? From the specs of the app and those of the 1520, I can’t see a reason why it would be blocked from downloading it.